Members of the state’s former Labor government say they gave SA police $4 million to buy stab-proof vests and tasers for all frontline police officers. The current SA Liberal Government wants to run a trial of the vests, causing a delay that the Opposition says will put officers at risk. “New South Wales has already conducted a trial for their frontline officers — and they work,” Opposition leader Peter Malinauskas said. 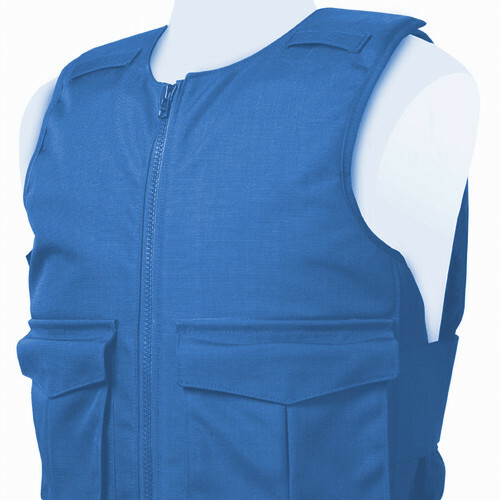 Police Minister Corey Wingard said it is vital to make sure the vests suit the local climate. “What we can have a look at is the different pieces of kit out there and how it's going to work for South Australia,” Mr Wingard said. SA Police say they are looking at ballistic and stab-proof vests as well. “This is a really changing environment, across the world … so there's a number of products out there, it's changing all the time and the technology's really improved,” Assistant Police Commissioner Linda Fellows said. Police Association South Australia President Mark Carroll said the trials are a “complete waste of taxpayer money”. “They're worn in Bourke, they're worn in Broken Hill, so I'm pretty sure they can be worn here too,” he said. “There's six state police forces, two territory police forces and an Australian Federal Police force — and we trial everything nine times over and it is a complete waste of taxpayers' money.